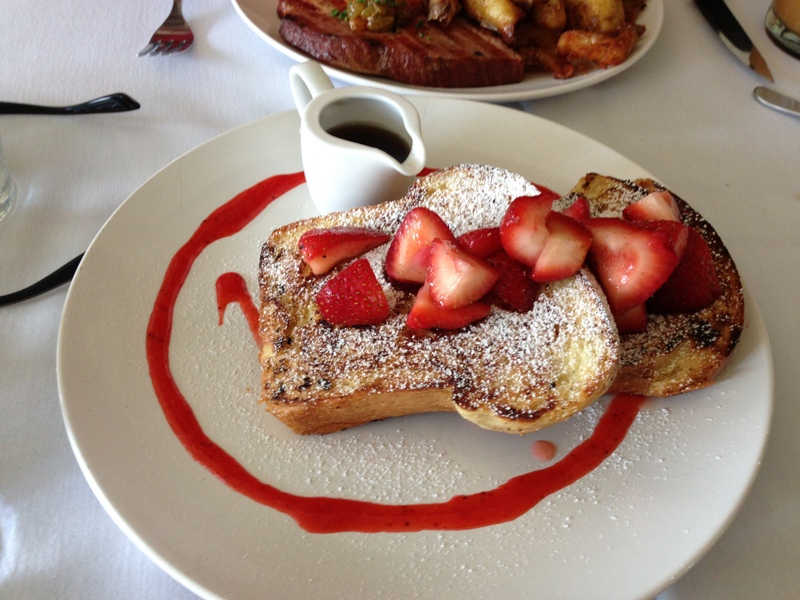 I recently decided to try Little Hen Restaurant&apos;s brunch for the first time. 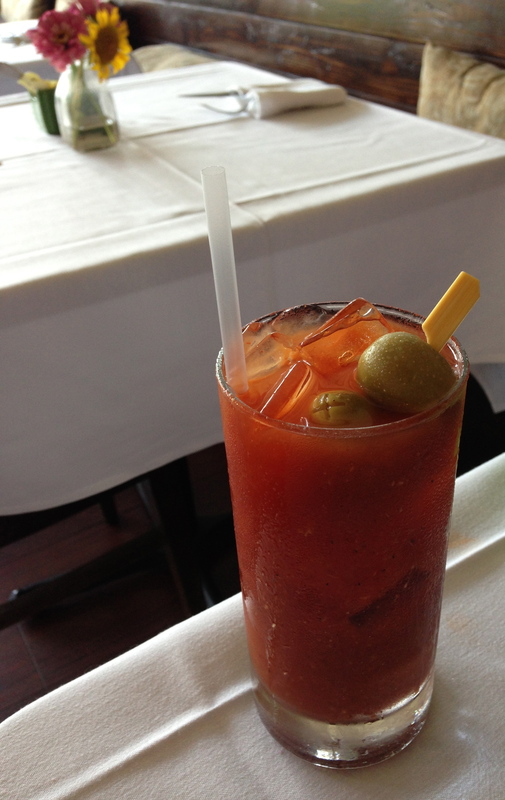 In my opinion, if you&apos;re doing brunch right, you have to start by ordering a Bloody Mary. I enjoyed the rich tomato flavor of the drink and my favorite part were the two massive olives topping the drink. If you&apos;re a coffee lover, order the French press coffee. Little Hen Restaurant supports their neighbors by featuring Boogie Bean Coffee Roasters, fresh roasted coffee out of Holly Springs. Honestly, this was the most flavorful cup of coffee I&apos;ve enjoyed at a restaurant. 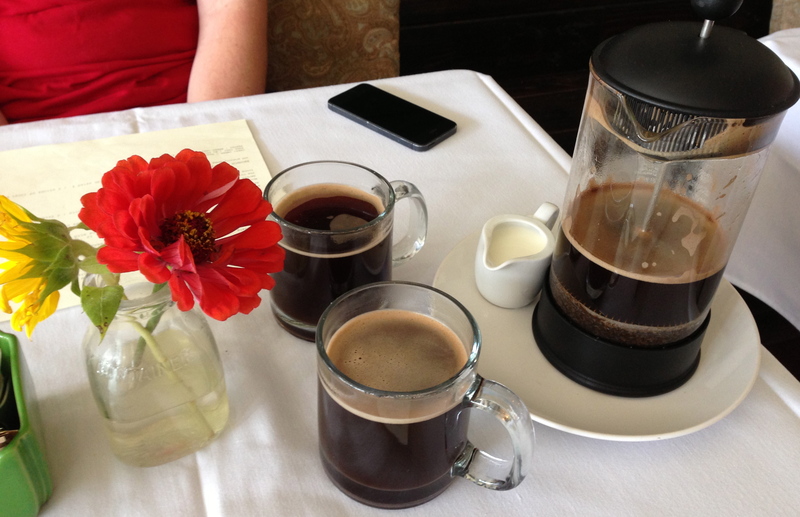 My trip to Little Hen Restaurant even inspired me to learn how to use a French press at home. If you&apos;re in need of a hearty breakfast, Little Hen Restaurant&apos;s ham steak and eggs will do the trick. 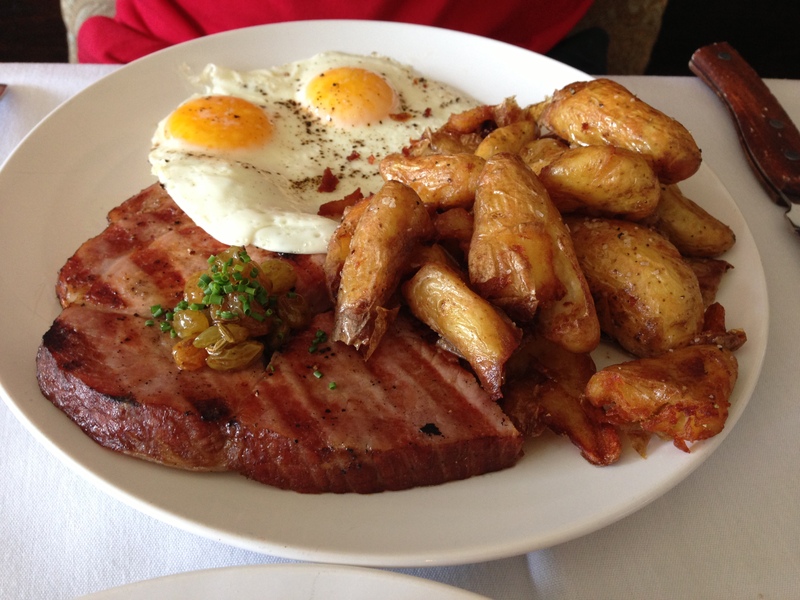 A generous piece of ham steak is topped with two farm fresh eggs and served with fingerling potatoes. Chef Regan also added a sweet element to this savory dish by including raisins on top of the ham steak. My friend, Kyle seemed to enjoy his brunch, only allowing me to steal one bite. 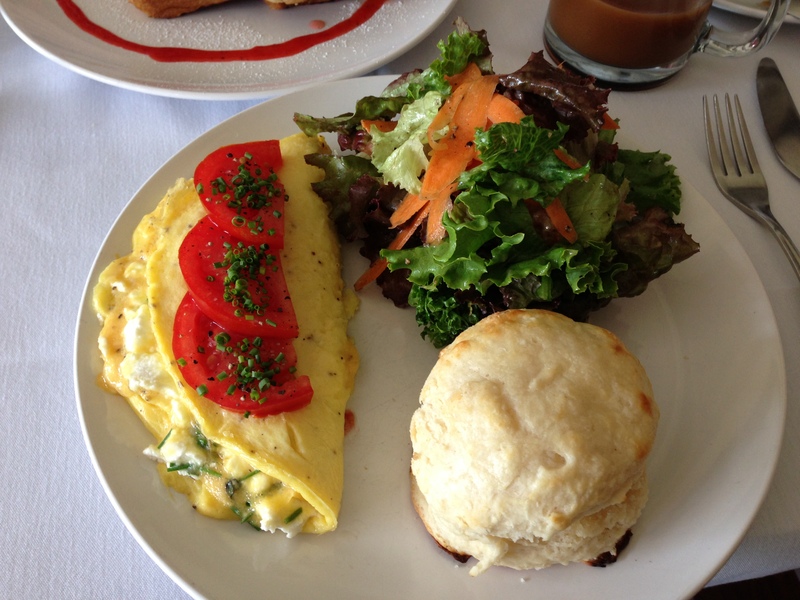 The goat cheese, herb and tomato omelet was fabulous. Chef Regan executed this dish by creating a perfect balance of flavor between the fresh vegetables, herbs and goat cheese. The produce is extremely fresh at Little Hen Restaurant. 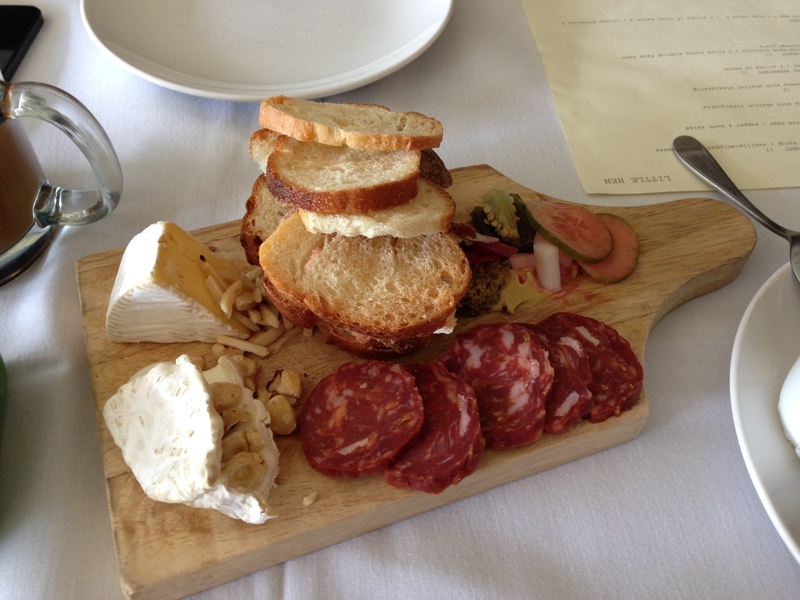 You can see and taste the difference in Chef Regan&apos;s food because he uses local products. Although the omelet was the star of my meal, the biscuit wasn&apos;t just any ordinary side. The biscuit had the perfect flaky and buttery crust. The warm, fluffy inside of the biscuit reminded me of a cozy morning at Grandma&apos;s house.